Add some foamy fun to your bathroom or kitchen with our Foam Soap Dispenser. Our Foam Soap Dispenser's pump can transform any regular liquid hand soap into FOAMY hand soap. All you have to do is fill the base one quarter full with liquid soap then fill the rest of the base with water. The pump will do the rest! 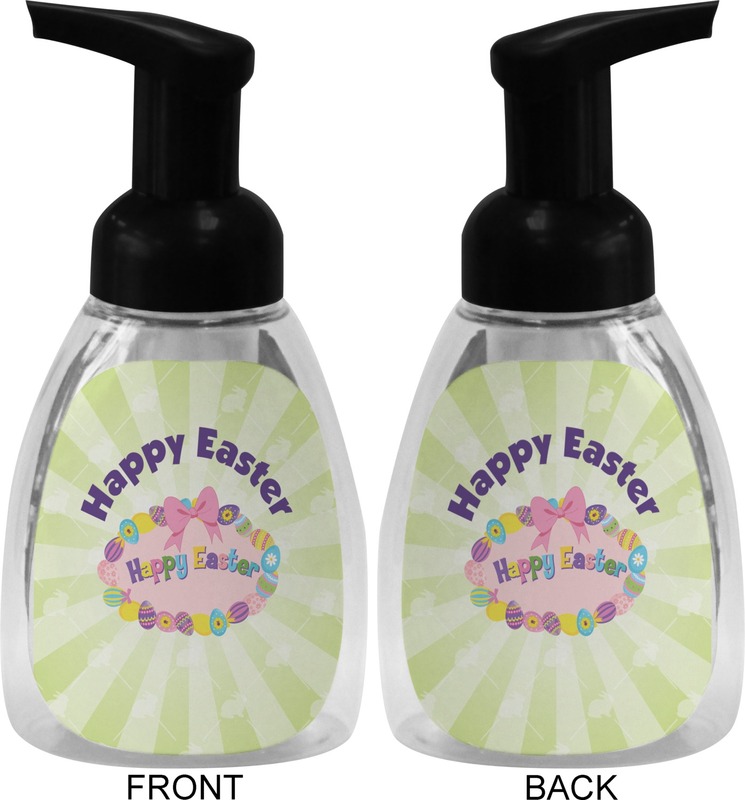 It is great way to add some fun to washing your hands for your kids (or even adults)! 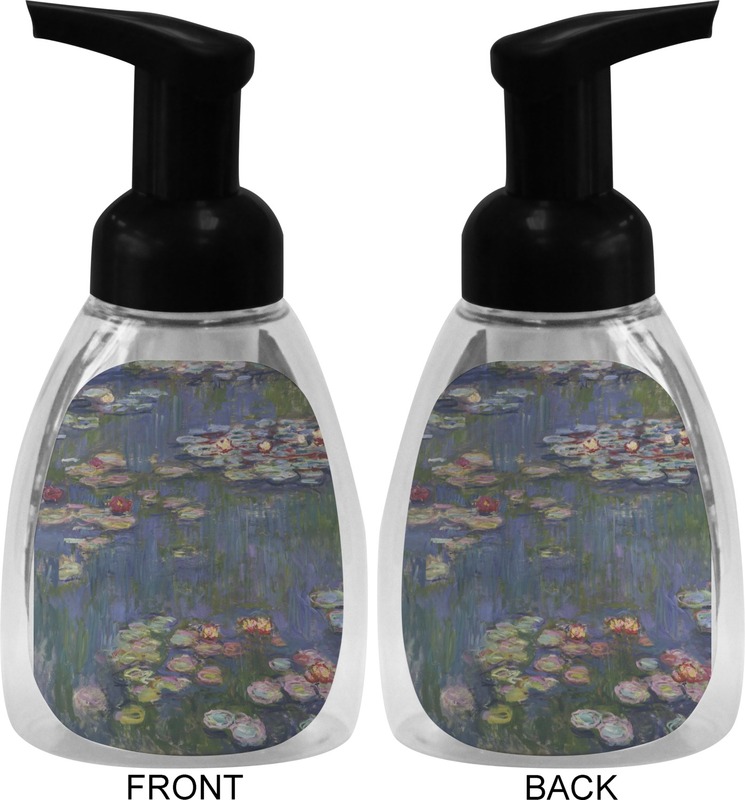 The dispenser has clear plastic base with design panels on the front and the back. The pump/nozzle is black plastic. The dispenser is 6.5 inches tall, 3 inches across the front and 2 inches deep. The design panels can be any of numerous designs from kids friendly to adult chic. 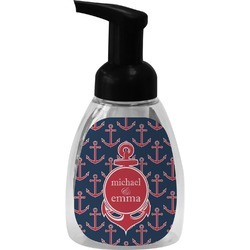 The designs can also be personalized with your name, monogram or other text. This product is great way to add fun and style to your bathroom. This is just what I was looking for! Works great and it just beautiful! I have been looking for customized soap dispensers for about a year. These are winners! I bought one for each bathroom theme! This is a very cute item that you can personalize. Note: it is made for FOAM, not standard liquid soap. 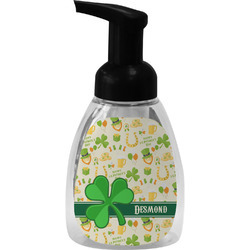 It is a plain plastic bottle with attractive and decorative shiny paper labels; don't expect more. It's very cute but not WOW. Loved by the person it was given to.